Hilltrek creates expertly handcrafted, robust, abrasion resistant outdoor clothing for fishing and fieldsports professionals and enthusiasts. Our weatherproof, highly breathable Ventile® clothing in muted colours is quiet with low rustle, with plenty of options to customise your garment. 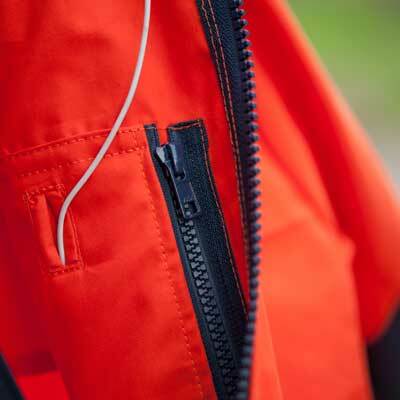 Video: watch Hilltrek's Dee Wading Jacket in action. Wind & showerproof. Bellow cargo pockets. Single-layer Ventile® trousers with bellow cargo pockets, featuring reinforced ankle, seat and articulated knee. Fully waterproof. Warm & durable. Classically styled, below knee length Cotton Analogy® breeches with multiple pockets. Warm double-layer Ventile® breeches with reinforced knee patches and multiple pockets.